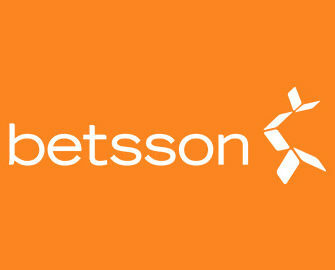 Betsson – The Daily Pick! Log-inn now to claim your offer! Claim daily a superb offer for Free Spins or Bonuses! The Claw Machine campaign at Betsson has been running for the best part of 2017 and has seen tons of Free Spins and Wager Rewards going to all loyal Betsson players. Each day, they can open a new offer on the promotion page and enjoy a generous balance booster for their gaming session. 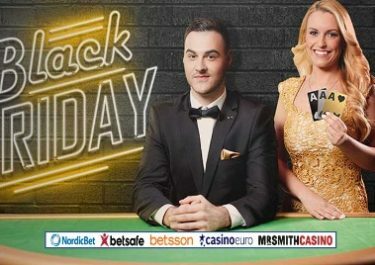 Be it 50 Free Spins, a share of a Free Spins prize pool or a wager bonus, it all is part of Betsson’s mission to give back to their players. Start this week with a guaranteed share of 5,000 Free Spins if you wager minimum €10 on Quickspin’s latest release, Sticky Bandits. Monday, 21st August 2017: 5,000 Western Free Spins – Wager minimum €10 on Sticky Bandits to get an equal share of the prize pool. Free Spins will be credited by 18:00 CET on Wednesday. Wagering reguirement is 35x Free Spin winnings within three days. Tuesday, 22nd August 2017: Lunar Free Spins – Make a deposit of min. €25 to instantly receive 50FS on Moon Princess. Spins must be played by midnight. WR is 35x FS winnings within 3 days. Wednesday, 23rd August 2017: Musical Bonus – Wager minimum €20 on Jimi Hendrix™ and instantly receive a €10 bonus. Wagering requirement is 35x bonus within three days. Friday, 25th August 2017: Mega Free Spins – Wager minimum €50 on any slot to instantly receive 60 Free Spins on Mega Fortune Dreams™. Spins must be played by midnight. WR is 35x FS winnings within 3 days. Saturday, 26th August 2017: Splashing Bonus – Wager minimum €20 on Well of Wonders and instantly receive a €10 bonus. Wagering requirement is 35x bonus within three days. Sunday, 27th August 2017: Fiery Free Spins – Make a deposit of minimum €25 to instantly receive 50 Free Spins on Leprechaun Goes to Hell. Spins must be played by midnight. WR is 35x FS winnings within three days.